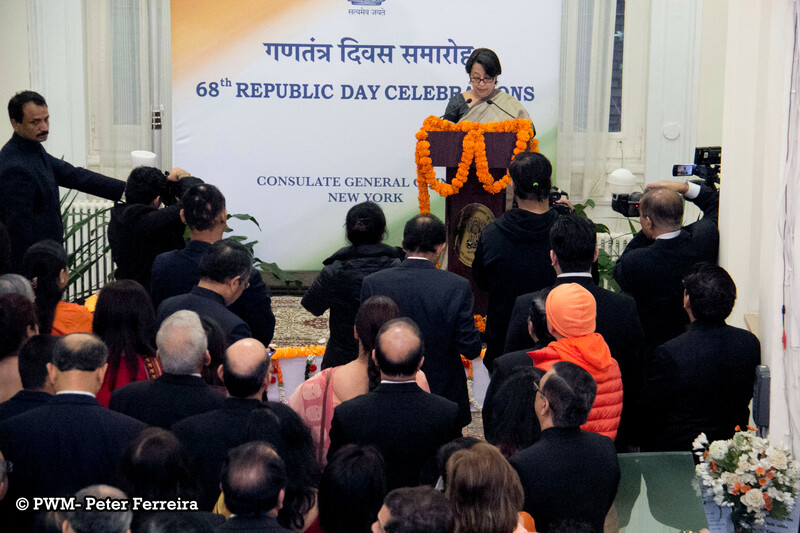 Consul General of India in New York Riva Ganguly Das unfurls the tricolor on the occasion of India’s 68th Republic Day on the consulate premises, Jan. 26. A cross section of the community was in attendance. The consul general also read President Pranab Mukherjee’s address to the nation.